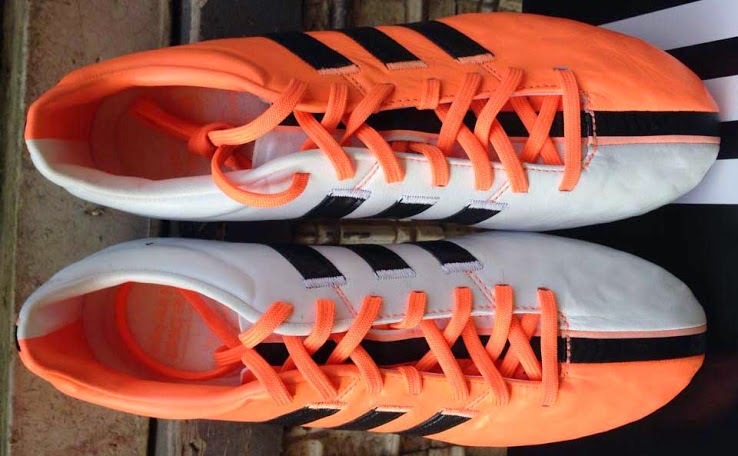 The new colorway for the Next-Gen Adidas Adipure 11pro is out and it is white and orange. It is expected that players like Toni Kroos, Phillip Lahm, David Silva, Frank Lampard and Fernandinho switch over to this new colorway as they promote the Adipure 11pro. The boot is made of a very soft and confortable kangaroo leather. This offers the players foot stability and perfect fit allowing the player to have better ball control. 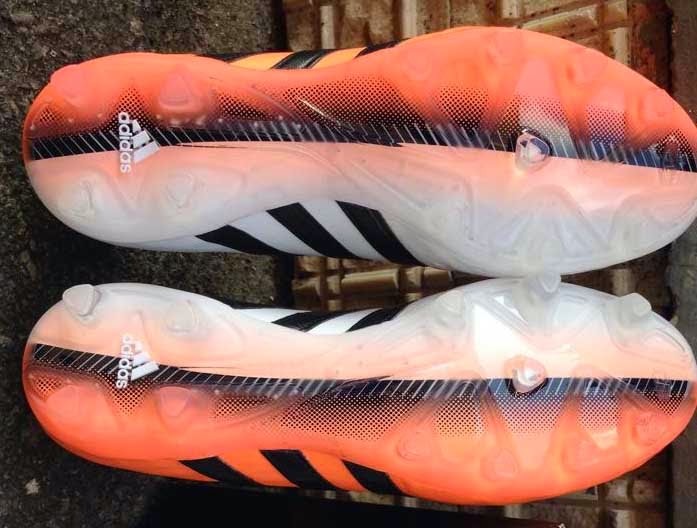 In addition the 11pro boots have a skeleton support in the forefront part of the boot for additional stability. 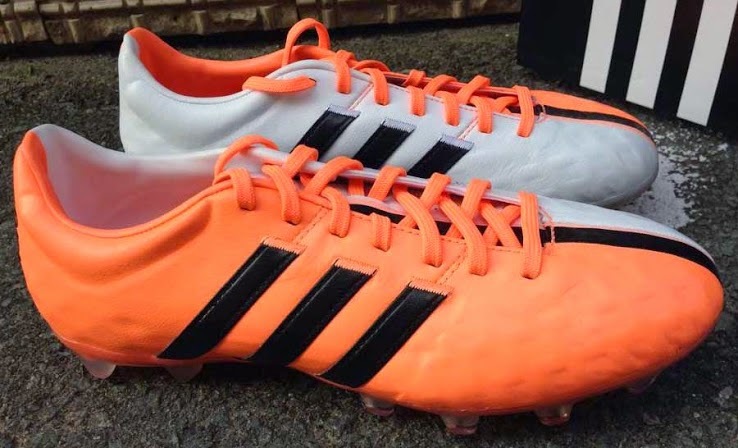 With this design Adidas adds a unique look to their Adipure boots with a half and half color on the same boot. The white and orange gives the boot a perfect blend of colors and the ability for the boot to really stand out. The division in color goes from the top of the boot to the bottom, being divided by a black stripe almost down the middle between most of the studs. The outsole also has smaller studs for better confort. The White/Orange Next-Gen Adidas Adipure 11pro will be hitting shelves this month, right in time for the holiday shopping.